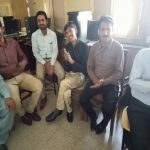 A one day Bio Safety Awareness Workshop was held on 12th April 2018, at the Department of Microbiology, SNAK, Govt, Superior Science College, Khairpur. The workshop kicked off by introducing PBSA and the important of bio safety. 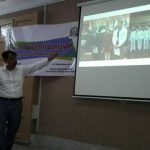 A lecture was delivered to increase knowledge and awareness regarding bio safety and best practices. 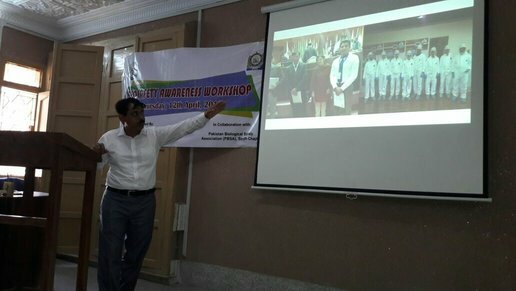 It was followed by practical sessions where participants learnt handing washing and glove removal techniques that minimize exposure and contact with potentially dangerous microorganisms. 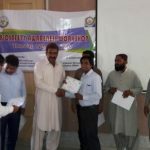 On completion of the workshop participants were awarded certificates.